In a surprising move for most urban core advocates, Target plans to open one of its first 'flexible-format' stores in the south in Gainesville. 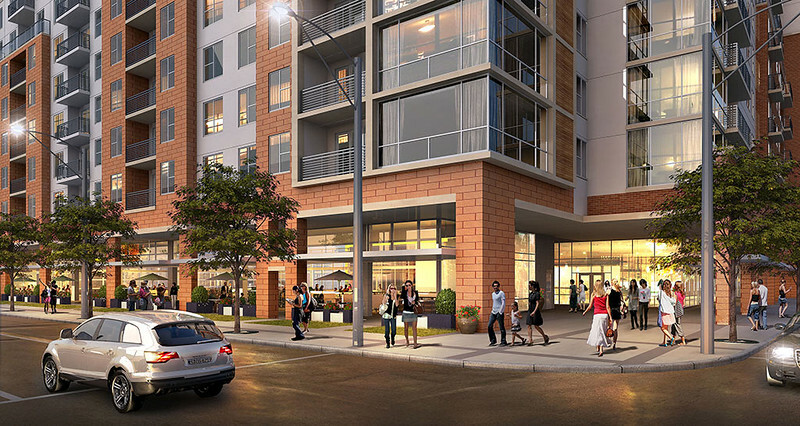 Here's a look at the proposed project and Target's plans to become more accessible to city dwellers. Now a company priority to open near college campuses, Target plans to open one of its first “flexible-format” stores in the south, adjacent to the University of Florida. Anticipated to open in July 2017, the store will anchor The Standard development currently under construction at the northwest corner of 13th Street and West University Avenue. 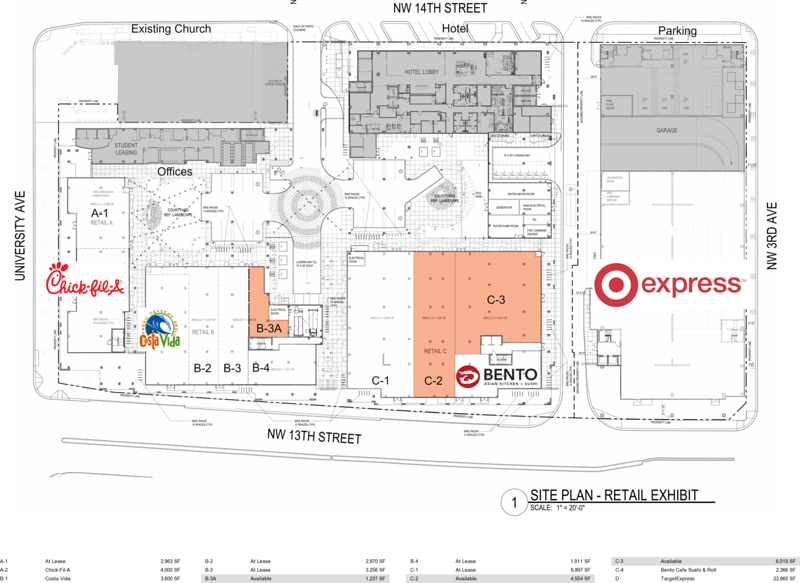 In addition to Target, the 10-story Standard will include 433 residential units, a 144-key Aloft Hotel, Chick-Fil-A, Bento Cafe, and Costa Vida Fresh Mexican Grill. 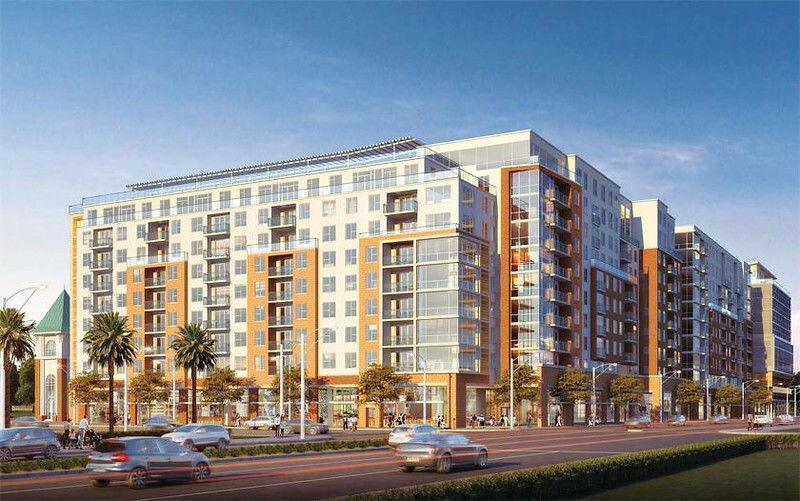 Rendering of The Standard courtesy of the Gainesville Sun. Merchandise to be offered at Gainesville’s small-format Target will include a curated assortment of dorm and apartment essentials, apparel and accessories from the area’s favorite sports teams, health and beauty, grab-and-go grocery items and meal solutions. Services to be offered include a CVS Pharmacy and order pick-up. Target’s CVS will be just three blocks from a recently opened CVS on the first floor of the Social 29 apartment complex. Prior to 2012, most Target stores ranged from 80,000 to 160,000 square feet and could only be found in suburban areas. To fit into urban environments, the small-format stores range between 14,000 and 23,000 square feet. The goal of the smaller footprint is to make the traditionally suburban retailer more accessible to city dwellers. The varying size and locations of these stores enable Target to create a unique store experience and curated merchandise assortment localized for each community. 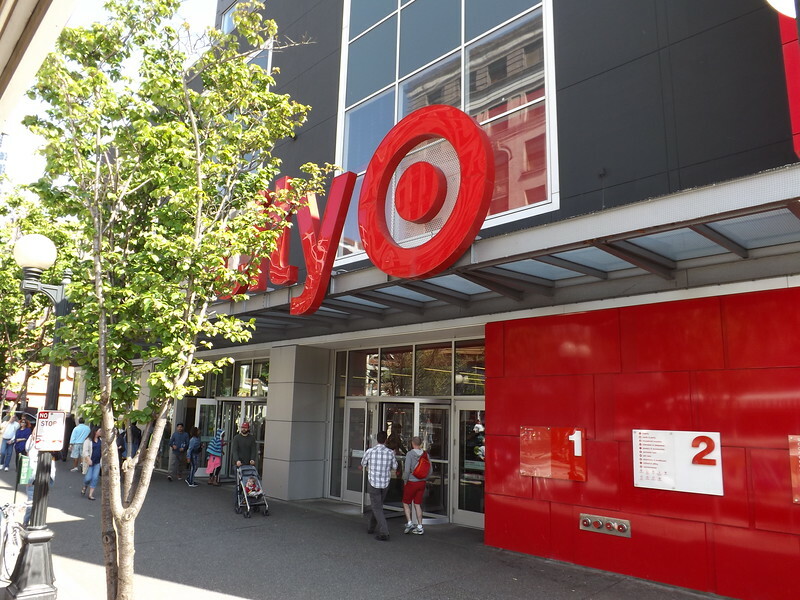 A CityTarget in Seattle, WA. Originally branded as TargetExpress and CityTarget, small format stores have already opened in larger cities like St. Paul, Chicago, Seattle, Portland, San Francisco, San Diego, Rosslyn, and Washington, DC. In addition to Gainesville, other cities identified by the retailer for “flexible-format” store expansion by the end of 2017 include Philadelphia, New York City, Los Angeles, Chicago, and Chapel Hill, NC.